Well, there we are. 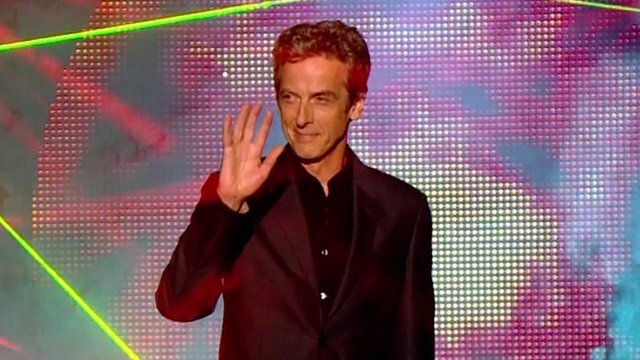 After months of speculation we now officially have a Twelfth Doctor and it's Peter Capaldi. It's an interesting choice to be sure and I'm sure that for some at least it will be a controversial and/or unpopular choice. But I'm certainly looking forward to seeing what he can bring to the role. And now the fresh speculation begins: What will he wear? What will his personality be like? When will he meet the Daleks/Cybermen/Master? And of course the all-important: When will he leave. Because, when a new Doctor is announced there's nothing that fans like more than trying to work out how long he'll stay for. And I look forward to being a part of all those debates. For my part, I'm just amazed that we have a Twelfth Doctor at all. Back in 1989 when the series first ended, I like everyone else assumed that we'd never have more than seven Doctors. In 1996, when the TV Movie was made, I found it hard to believe that we actually had an Eighth Doctor. The seemingly impossible had happened. After the TV Movie flopped (at least in the States), I once again assumed that was it. We'd never have more than eight Doctors. Once again I was proved wrong when the series came back in 2005. And now here we are, eight years later, on the verge of meeting the Twelfth Doctor. And with the series being as popular as it is at the moment I don't see the Twelfth Doctor being the last that we'll see. So welcome aboard Peter Capaldi. The next series can't come soon enough!